It is currently estimated that up to 80% of workers are potentially mobile around their workplace and may have a need to access wireless voice communications onsite. 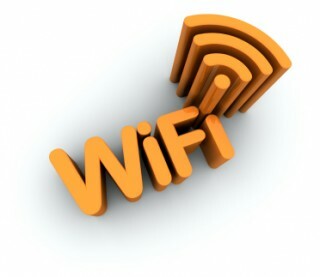 The implementation of wireless LANs (predominantly based on 802.11b and 802.11g standards operating in the 2.4 GHz band) to carry data has lead some vendors to eagerly promote the idea that adding IP enabled wireless handsets to a data network is a relatively simple, inexpensive and reliable method of delivering voice over wireless LAN (VoWLAN). This has lead to declarations that DECT systems, traditionally used for wireless PABX, will not be able to survive in the medium term. Despite this hype, the consensus of panellists at the Wi-Fi VoIP Futures Summit at the VON trade show held in Boston in September 2003 was that “…there are a number of challenges that must be met before voice over Wi-Fi goes mainstream….VoWLAN won’t see widespread adoption until certain technical hurdles are addressed.”1 This paper seeks to dispel some of the hype and highlight some of the limitations potential users should be aware of that are inherent in the 802.11 solutions being offered today. The 2.4 GHz band under which both 802.11 b/g operate is a completely open frequency shared with other wireless networks, Bluetooth devices, cordless phones, fixed-wireless broadband Internet access, amateur radio and even microwave ovens. It is for this reason that it has commonly been referred to as the “junk band”6 for several years, with the plethora of devices sharing this narrow bandwidth leading to serious degradation of WLAN performance for both voice and data in terms of radio coverage as well as QoS as more devices come into operation. Adding voice to a data network has a number of ramifications. In contrast to this, DECT operates in its own allocated protected frequency band (1880 -1900 MHz) and thus does not suffer from interference from competing technologies operating in the same band. This enables multiple DECT systems to operate in parallel and independently in the same area without interference or degradation of service. It is generally accepted that the security schemes commonly used for Wi-Fi handsets, Wireless Encryption Protocol (WEP) and MAC address authentication are insufficient.1 Aruba’s VP of product marketing notes “There’s a huge security hole for voice. Handsets and the technology today are a generation behind the state of the art….Static WEP is weak and can be broken and using a MAC address means that once that address is admitted, it can go wherever. Spoof that and it can send non-voice packets into the network to cause a disruption. ”13 In comparison, the DECT standard includes built-in 128-bit authentication and identification access security and built-in encryption based on derived or static 64 bits cipher keys transmission security14, eliminating eavesdropping and other security breaches. Is the system or components of the system proprietary, tying the user into a particular vendor? How many users can the system support in total? How many simultaneous voice calls can be held per access point? How many additional access points will be required to provide blanket voice coverage? Is the system operating in the 2.4 GHz “junk” band? Does the system comply with security standards? What is the measured delay in handover between access points? Is the handover protocol proprietary? If these questions are not fully answered to prospective users’ satisfaction, they should give serious consideration to continue the search for more practical alternatives. 3. Voice over IP + wireless LAN = ?